Universal application in gasoline, diesel and LPG engines of passenger cars and trucks. Meets the specifications and requirements of many car manufacturers for modern oils and therefore is an excellent solution for mixed vehicle fleets. Provides stable and reliable protective properties during the run-in period and by car operation. 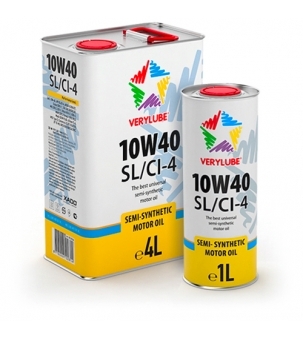 Provides an excellent protection and reliable lubrication of the engine, keeps it clean.